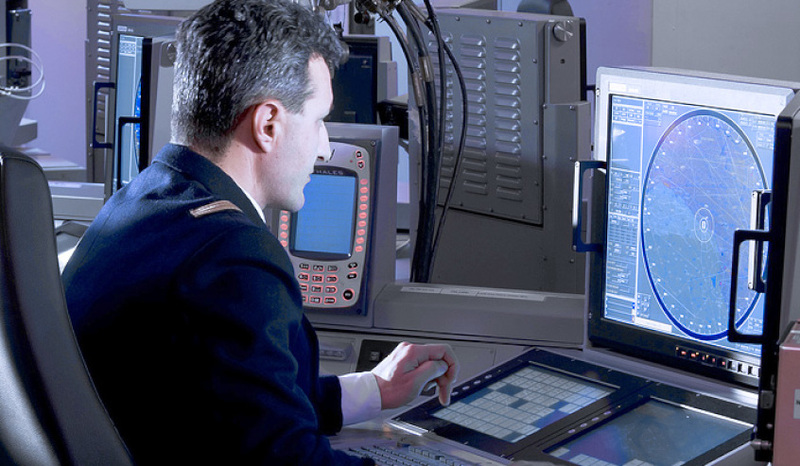 Land and naval defence electronics company Leonardo is no newcomer to the defence industry, but the name may not be as well known as it should be. Formerly known as Finmeccanica, Leonardo is the new name for the well-established aerospace, defence and security company. As you might have guessed, the Italian name draws inspiration from one of Italy's most famous characters; Leonardo da Vinci. Executive chairman of Leonardo Australia Michael Lenton caught up with Phillip Tarrant of Defence Connect’s podcast to discuss the company's future projects, rebranding and inspiration for the business and their objectives in the Australian defence industry. "Leonardo is not a new company to the defence and aerospace sector, but what it is, is a new name for a very well-established aerospace defence and security company. It was called Finmeccanica, up till recently. The name Leonardo actually reflects the concept of One Company, that is, doing away with some very strong brands that we've had in the past and that have made up Finmeccanica," Lenton said. "Let me give you a short idea of where we stand here in Australia. At the moment, Leonardo has been supplying aerospace, defence and security equipment into Australia since the '60s, so it's 50 years now." Lenton says that replacing the umbrella name of Finmeccanica with something new was no easy task, but the rebrand allowed them to take inspiration from a creative and inspirational historical figure. "When you do away with strong brands like Alenia, AgustaWestland, Macchi, Marconi, Ferranti, all names that particularly the older guys in this industry were familiar with, replacing that with a new name means you've gotta use a similarly evocative, strong, creative brand. I think the name Leonardo, obviously referring to Leonardo da Vinci, actually does that and ticks that box," he said. Although the name change has already come into effect, there are still some logistical changes to be made, but Lenton says these changes will allow the company to reflect on their own innovative nature to reflect the company's new directions. "There's still a way to go," Lenton said. "We've got a sign on the side of our building in Port Melbourne, which is our headquarters here in Australia, that's a big Selex ES sign, and below it says, 'A Finmeccanica company'. We'll be doing away with that sign very shortly and put up a Leonardo sign with an idea of what we're inspired by, and that is Leonardo's creativity. Da Vinci's ability to think forward, to be innovative, to think of solutions ahead of his time. In fact, the motto for Leonardo now is 'Ingenuity at Your Service'. The idea of originality of thought, creativity and service to the customer, they're the drivers for us in this new reality and this new image." While visiting the Avalon Airshow, Lenton said the company had some interesting meetings. "We had some politicians come past. We had lots of people from the customer community, that is the Commonwealth, the Defence Department and also from industry. There were some good moves forward in the dialogue, and just raising our visibility also, here in Australia, which is one of our objectives," he said. "We have a really well-established installed base here in Australia, so our objective right at the moment is to support that equipment, and also expand our business here by investing and working in new areas." While their inspiration, da Vinci, may have his name attributed to around 20 works of art, Leonardo may just top this number of Australian projects, with the company placing various bids for naval opportunities within the Australian defence industry, including the SEA 1664, SEA 1180 and SEA 5000. "We've been bidding into all the opportunities that have presented themselves to us. The SEA 1664 and, particularly, SEA 1180, which is currently being responded to by the down-selected ship designers. We've contributed to that in terms of a bid and, obviously, we're positioning ourselves for SEA 5000. SEA 5000 represents for us, as does 1180, a natural development of the capabilities that we have in Australia, particularly the communications capability, which is now established under the SEA 1442 program," Lenton said.